The us-bangla airlines ltd is a dream project of us-bangla group. Us-bangla airlines started it’s journey on 17 July 2014 with motto fly fast,fly safe. Otherwise,all the domestic airlines,currently we are operating maximum number of flights,transported maximum number of passengers which is about 50% of the total domestic traffic to maximum number of seven destination. If you want to apply for this job,you should submit your application within specific time. Us-Bangla airlines job circular 2019 has been converted to an image file,so that everyone can read easily or download this job circular. 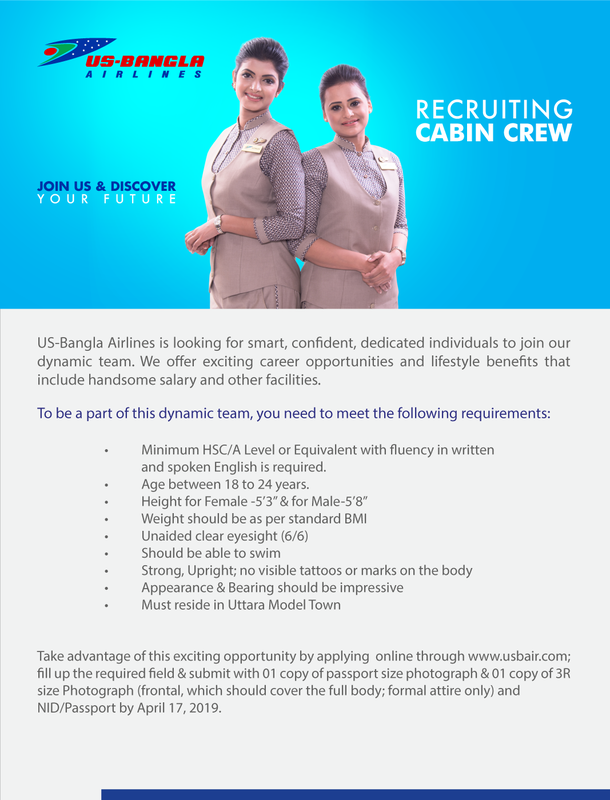 Us-bangla airlines job circular 2019 has been given bellow.